We all know that India has signed the Rafale deal with France for the purchase of 36 Dassault Rafale fighter Jets at the cost of €7.9 billion (59,000 Crores). There is a lot of controversy regarding the deal and it is on hold for now. However, this article is does not concern the controversy involved, it rather defines and elaborates the technology used in these fighter jets. Rafale is a Fighter jet manufactured by international French aircraft manufacturer of military, Dassault Aviation. 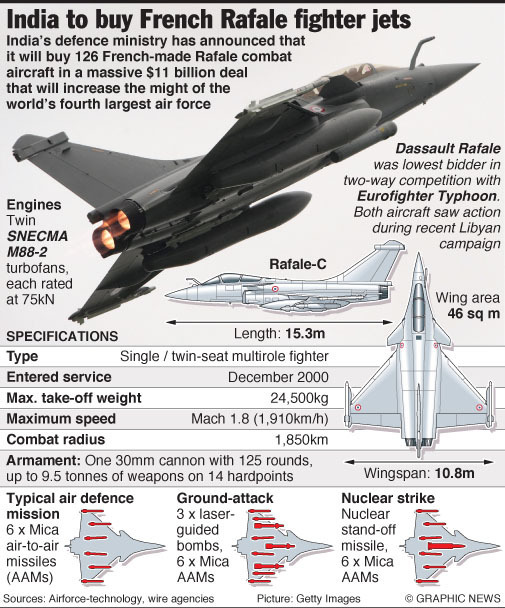 It is a twin-engine Medium Multi-Role Combat Aircraft (MMRCA), Rafale fighter jets are positioned as ‘omnirole’ aircrafts that capable to perform a wide-range of combat roles such as, air supremacy, interdiction, aerial reconnaissance, ground support, in-depth strike, anti-ship strike and nuclear deterrence. •	Rafale’s cockpit has Hands on Throttle-And-Stick (HOTS). It is equipped with a head-up, wide-angle holographic display from the company Thales Avionique, which provides aircraft control data, mission data and firing cues. •	There are two touch-screen lateral displays that show the aircraft's system parameters and mission data. The multi head level display presents tactical situation and sensor data. •	A CCD camera and on-board recorder records the image of the head-up display throughout the mission. The pilot also has a helmet-mounted sight and display. •	Rafale is equipped with two M88-2 engines which provide a thrust of 75kN. It allows it penetrate through low altitudes and makes it suitable for high-altitude interception missions. •	The engine makes use of the latest technologies such as the single-piece bladed compressor disks, single-crystal high-pressure turbine blades, an on-polluting combustion chamber, powder metallurgy disks, ceramic coatings and composite materials. The engine also has a three-stage LP compressor with inlet guide vane, single-stage cooled HP turbine, single-stage cooled LP turbine, an annular combustion chamber, and full authority digital engine control (FADEC). •	The refueling is done by buddy-buddy refueling with a flight refueling hose reel and drogue pack. •	Rafale uses the Spectra wafare system developed by the company Thales. It has solid state transmitter technology, radar warner, DAL laser warning receiver, missile warning, detection systems and jammers. •	The sensors are also installed by Thales, an RBE2 electronically scanned radar has look down and shoot down capability. The radar can track up to eight targets simultaneously and provides threat identification and prioritisation. •	The nose of the aircraft is equipped with the optranic system which carries out search, target identification, telemetry and automatic target discrimination and tracking. •	The aircraft uses the 2nd gen Saturn onboard V/UHF radio; it is an anti-jam UHF radio with voice encryption. It also provides communication with the civil air traffic control with MIDS (Multifunction information distribution system). There is high-data-rate tactical data exchange with NATO C2 stations, AWACS aircraft or naval ships. •	The Thales 2000 navigation receiver approaches the phase of the flight and also stimulates the landing system (ILS), microwave landing system (MLS) and VHF Omni-directional radio-ranger (VOR) and marker functions. •	The Altimeter AHV 17 from Thales insures flight at low altitudes. Rafale is made to carry different types of air-to-air missiles, air-to-ground missiles, anti-ship missiles, nuclear missiles, etc. 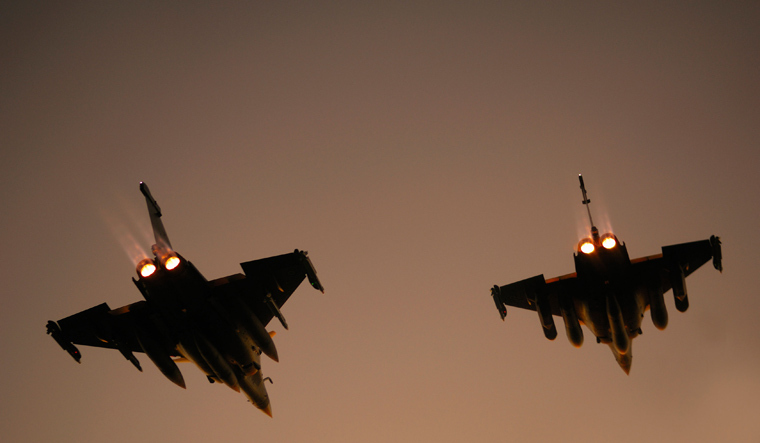 The Rafale is equipped with laser designation pods for laser guidance of air-to-ground missiles. •	The range of weapons includes: Mica, Magic, Sidewinder, ASRAAM and AMRAAM air-to-air missiles; Apache, AS30L, ALARM, HARM, Maverick and PGM100 air-to-ground missiles; and Exocet / AM39, Penguin 3 and Harpoon anti-ship missiles. •	Rafale can also deliver the MBDA ASMP stand-off nuclear missile and the MBDA Storm Shadow / Scalp EG stand-off cruise missile. 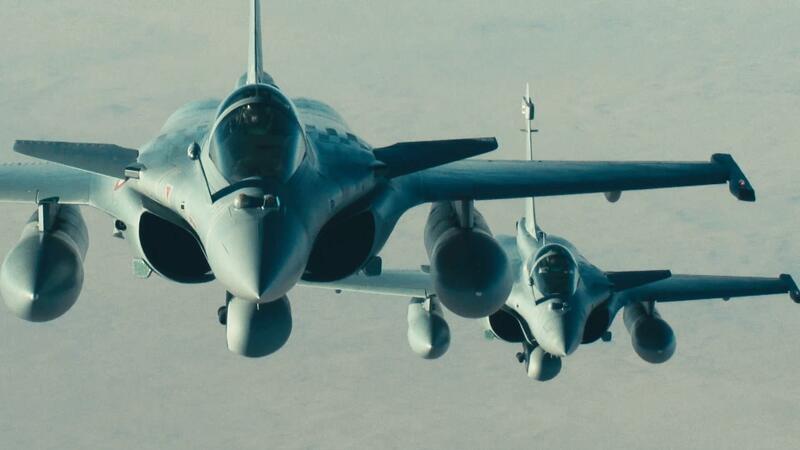 •	Rafale’s weapon systems can fire Exocet, Scalp-EG, Mica, and Meteor missiles. It can carry six AASM missiles, with each aiming to hit the target with 10m accuracy. •	The Rafale has a twin gun pod and a Nexter 30mm DEFA 791B cannon, which can fire 2,500 rounds a minute. It is also armed with the Sagem AASM precision-guided bomb.